When I was in middle and high school, I had many pen pals scattered around the world: Ukraine, Sweden, United States…and probably more. I wanted to learn English so badly, I would search and search for those youngsters who were looking for the same thing I was: a listening ear in a foreign language. I would share with them thoughts about life, about my family, my pets (Lola and Puffo, my two cats and Suomi, my loving dog); I delved into the music I listened to (mostly rock, highlighted by my passion for Nirvana) and asked more questions than it was probably acceptable. 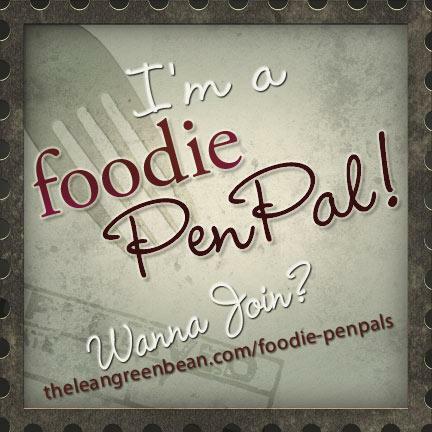 Forward that 15-20 years later and I have found the perfect 21st century exchange experience: Foodie Penpals – an amazing program created by Lindsay at The Lean Green Bean. 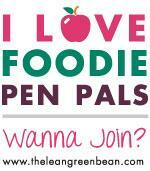 It’s exactly what it sounds like: You are matched with another foodie around the U.S. and you have about 10 days to send them a box of goodies (either store-bought or home-made) along with a nice, written note. I was matched with Colleen from Michigan, to whom I sent a box to, and with Connie, a great mom from Boscobel, Wisconsin. When her package arrived, I was completely unprepared. It was sitting on my front porch, staring at me. I was so giddy inside. The feeling I felt as a child when I saw a letter from my pen pal in the mailbox came back, times 100. 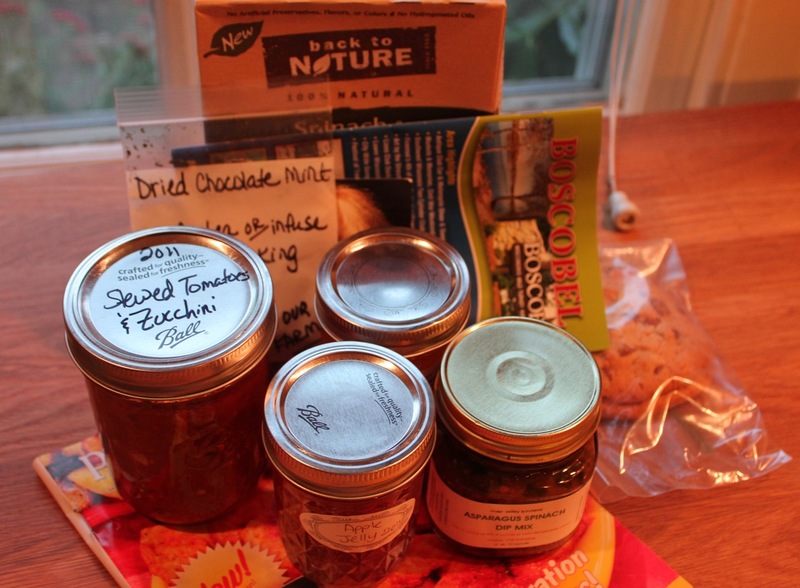 Connie outdid herself –and put my box to shame! 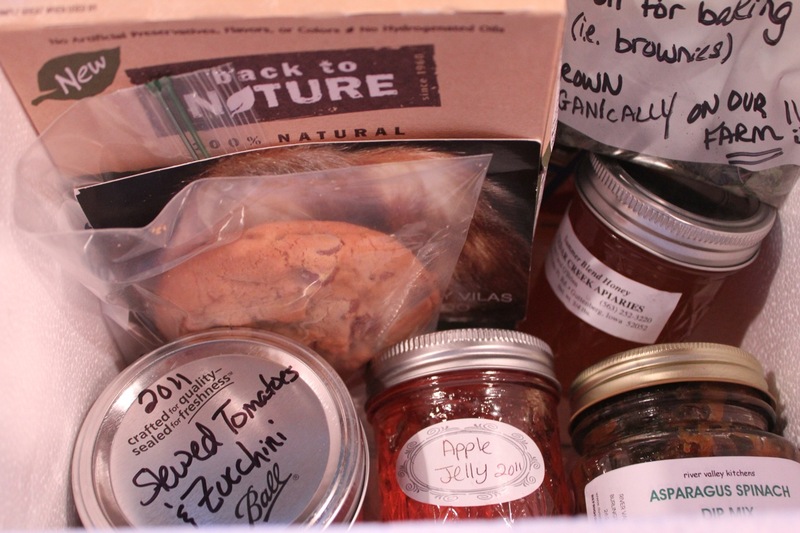 Everything in her box was delicious: Apple Jelly (homemade! ), Asparagus Spinach Dip Mix (insane! ), canned tomatoes and zucchini (unbelievable! ), chocolate chip cookies, crackers, honey (one of my favorite things on the planet), dry chocolate mint for brownies (!!!) and a brochure of Boscobel. What I absolutely loved about this program was getting to know Connie: everything she works hard for on her farm turns up in the kitchen, and by the small garden I try to maintain, I can attest that it is hard work! 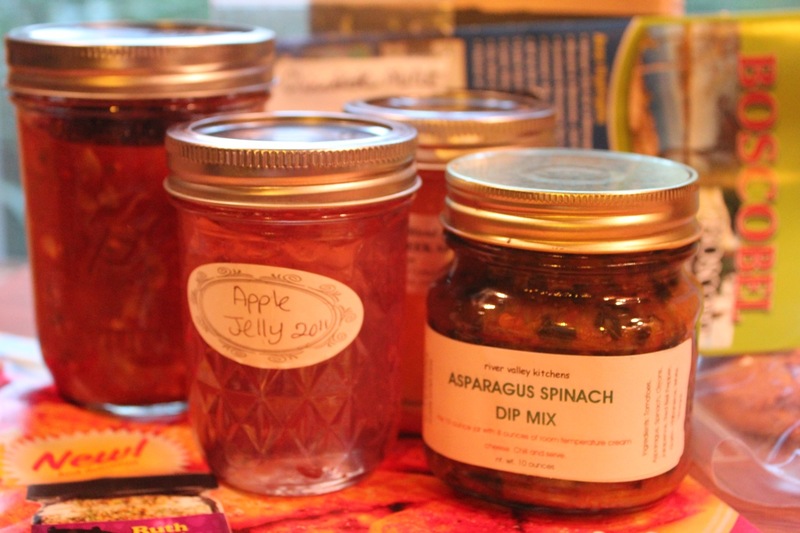 The flavors of her canned deliciousness were and are (I am savoring all of them so that they don’t run out too fast..) incredible: it almost feels like I am in her garden, picking tomatoes and zucchini with her. And that’s the beauty of cooking from scratch. So thank you Connie for this unbelievable box of goodies!